Sometimes it's nice to write about a topic that pops up because it's so fascinating and off the usual list of things we cover. This post is one such post. It's about pleating. And even if this isn't an area you get involved in I think you'll find it really interesting. There are two useful videos in the post toward the end so make sure you watch these too. I came across a Facebook post recently that mentioned a company in the UK that does pleating. So I had to check them out. Ciment Pleating has been established since 1925 which makes them the oldest pleating firm in the UK. They have built up a reputation as the number 1 pleaters in the country and regularly export to Europe and the rest of the world. They supply pleating services for fashion designers, interior designers, home dressmakers, fashion colleges, film companies, advertising, theatrical costumiers, and milliners. Designers use pleats in their designs for both practical reasons, for example, to provide freedom of movement to the wearer, as well as for purely stylistic reasons. Pleating involves folding fabric into different shapes creating differences in the volume and texture of the fabric. Pleating fabric involves having a mould made up of two pieces of card that are folded identically so that they can fit together with an outer wrapper to protect the pattern during the heating process. To pleat fabric, it is sandwiched between two pieces of card which are laid flat on a table. The lower card followed by the fabric and then the upper card on top to form the sandwich. These are then folded in to shape and rolled up tight. An outer wrapper is then used to protect the parcel as it is then placed in a steam cabinet to heat the fabric and set it into the required shape. After the pattern has cooled down sufficiently the fabric can be removed and it should now maintain the shape of the pattern used to pleat it. Ciment Pleating says they mould fabric within 6 types of pleats. So given that they p[rovide pleated fabric to an international client base we can assume that these are the common pleat styles you'll be using as a designer. These are also known as knife pleats. They have one side longer than the other so that the fabric will lie flat on a surface once it is pleated. Normally the under pleat will be half that of the over pleat. The knife pleat is the basic pleat used in sewing. Flat pleats flared also commonly known as Graduated pleats. The difference between these and standard flat pleats is that with flared pleats the under pleat varies in width from the hip to the hem and it's this feature that creates a graduation in the visible fabric. These combine two approaches to create the box pleat. There is a left-hand flat pleat followed by a right-hand flat pleat which together forms box effect. Inverted box pleats have the "box" on the inside rather than the outside. 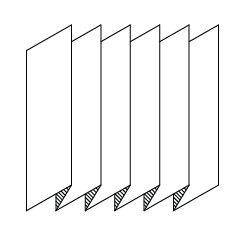 It looks like an accordion because it is formed by two pleats which both have the same length. It's a form of tight pleating which allows the garment to expand its shape when moving. his form of pleating inspired the "skirt dancing" of Loie Fuller. 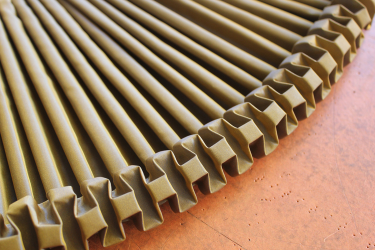 A Sunray pleat is a graduated accordion pleat that is pleated in a semi-circle. 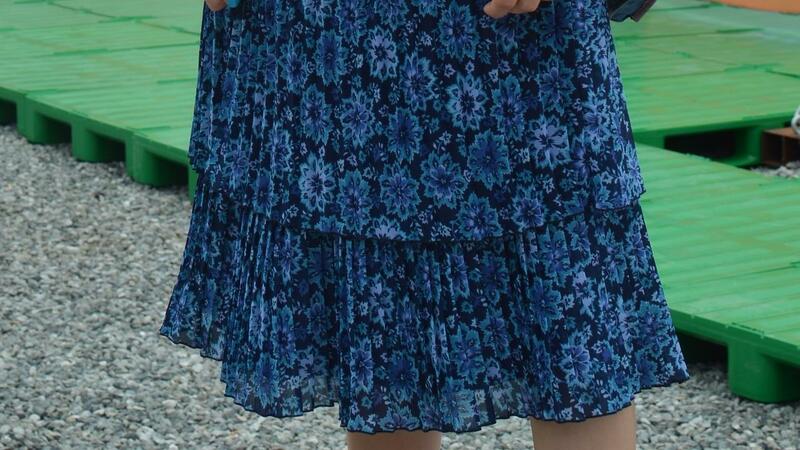 The pleat starts off very small at the hip and gets bigger closer to the hem. Fancy pleating comes in all manner of styles and limited by your imagination as a designer. There are some other examples of fancy pleating that you can find on the Ciment Pleating website that are worth looking at for inspiration. Cartridge - used to gather a large amount of fabric into a small waistband or armscye. 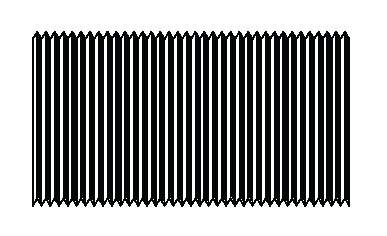 Fluted - very small, rounded or pressed pleats used as trimmings. Fortuny - crisp pleats set in silk fabrics by designer Mariano Fortuny in the early 20th century, using a secret pleat-setting process which is still not understood. 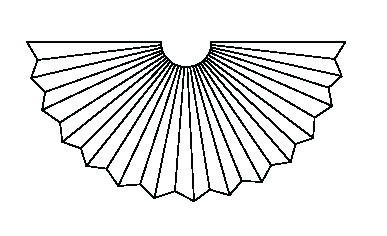 Honeycomb - narrow, rolled pleats used as a foundation for smocking. Kick - short pleats leading upwards from the bottom hem of garments such as skirts or coats, usually at the back. They allow the garment to drape straight down when stationary while also allowing freedom of movement. Here's a video by Ciment Pleating that explains their process. For further information on pleating, you could check out Wikipedia or go to the Ciment Pleating guys.